This afternoon I got to pick up my race packet for the 10 For Texas race this Saturday! There was a really nice tech shirt (notice the stripes on the Armadillo? ), a visor (for the first 2K) and a cool little bag. My bib number is lucky as well. How do I know that? Because the numbers add up to 7! You’re probably thinking “Huh? Has she lost her mind?”. I have this odd habit of adding up numbers until you have a single digit left. For example, 1+6+2+7 = 16 and 1+6 = 7. See?! Hahaha…ok, maybe I’m not completely there but I can’t be the only person who does this. I did a 2 mile run yesterday after work in 31:22. My speed was decent but not as fast as I’d like. However my feet started hurting toward the end. I was doing the Pose running method, so I don’t know if it was that or if it was the fact that I was running on a gravel trail when I normally run on road/sidewalks. In light of the foot pain, I decided to take today and tomorrow off from working out so I’m fresh come Saturday morning. I also picked up some Sport Beans to help refuel during the workout. I’ve only used these once before for Angie’s Half Marathon, but I liked them better than the blocks I’ve tried. They were easier to get out of the package and not quite as sweet. I’m getting excited!! And nervous… So, between 7:30-10:30 send me some positive vibes and cheer me on. 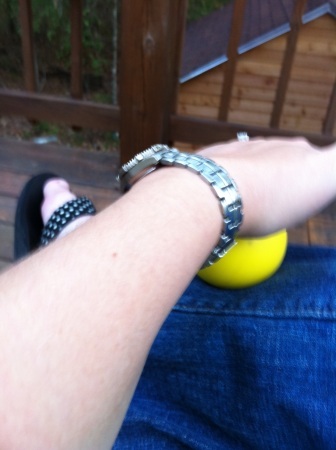 This entry was posted in Health, Huh?, Race Training and tagged Pose Running, Race Swag, Run Intervals, sport beans on October 6, 2011 by Tammy. This Saturday, instead of going for our normal run Kelly, Clara, Mark and I went to a CrossFit Endurance Running Clinic to learn the Pose method. We started at 9 AM and went to 2 PM. It was filled with a ton of drills and, of course, running! 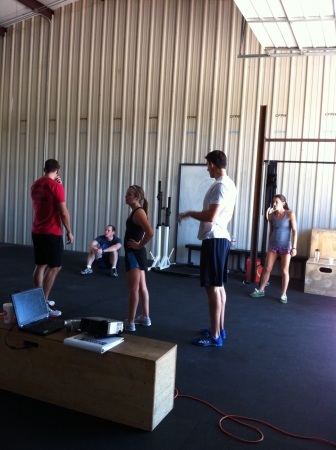 Before we started, we did some rolling with a lacrosse ball. Ooof…that was painful, but supposedly helps aid in recovery. We’ll see about that! They filmed us running 4 100 Meter sprints at the beginning and 2 100 Meter sprints at the end so we could watch our form and see if it improved or not. My hips were very sore after we were finished. I pretty much walked like an old woman the rest of the day! They are putting together an endurance team that will be going out doing 5K’s, 1/2 marathons, etc together and I was invited to join them if I wished. They made me fell very comfortable and at home, which was a relief since I’m not that good of a runner! I’m still heel striking, so I have to work on relaxing my foot when I run as opposed to flexing my foot. This should get rid of the shin splints I’ve been getting lately. On Sunday, I went and did a 5K using the 3/2 run/walk intervals and the Pose method. 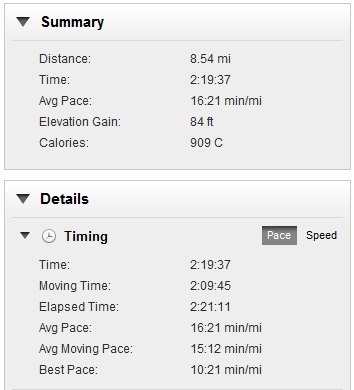 My pace on the 8.5 mile run the week before was slower than yesterday’s. Now, I realize it’s not entirely far to compare an 8.5 mile run to a 3.2 mile run so let’s just look at the first three miles of each one. I am quite happy with the increased speed! 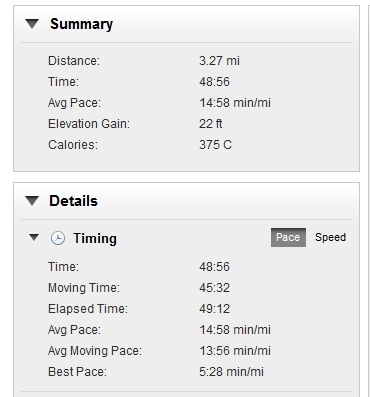 A little over a minute faster on mile 1 and almost 2 minutes on mile 2. Outstanding! Unfortunately, I wasn’t able to get my cadence on these runs to compare but hopefully the runs from here on out will show that. My goal is 94-95 steps per minute. I’m having some difficulties getting it down, but we were given 6 weeks worth of homework to do that is supposed to help in grain this running style and override the bad habits you’re built up. I’m hoping by the end of the 6 weeks it feels more natural and my speed would have increased more! Yesterday I kept talking to myself “hips forward, lean, pull, pull, relax foot, lean, watch the hips, head up…” it got a little irritating after a while! The better I get at this though, the less I’ll have to remind myself of the correct form. 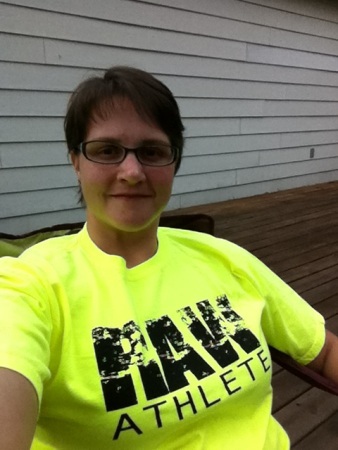 This entry was posted in Challenge, Workout and tagged 100 Meter Sprint, 200 Meters, 400 Meter Run, Crossfit, Crossfit Firsts, Pose Drills, Pose Running, Running Clinic on October 3, 2011 by Tammy.